Tucson Daily Photo ~: It's that time again...."Where is this?" Let's start the week with a little brain teaser. It's time again for the "Where is this?" contest. First one to correctly identify the location wins a "fabulous" TDP t-shirt or mousepad. 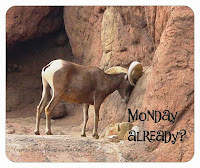 Both feature the "Monday already?" ram from the Desert Museum. Start your engines! Good luck! Roseann! You early bird - you caught the worm! 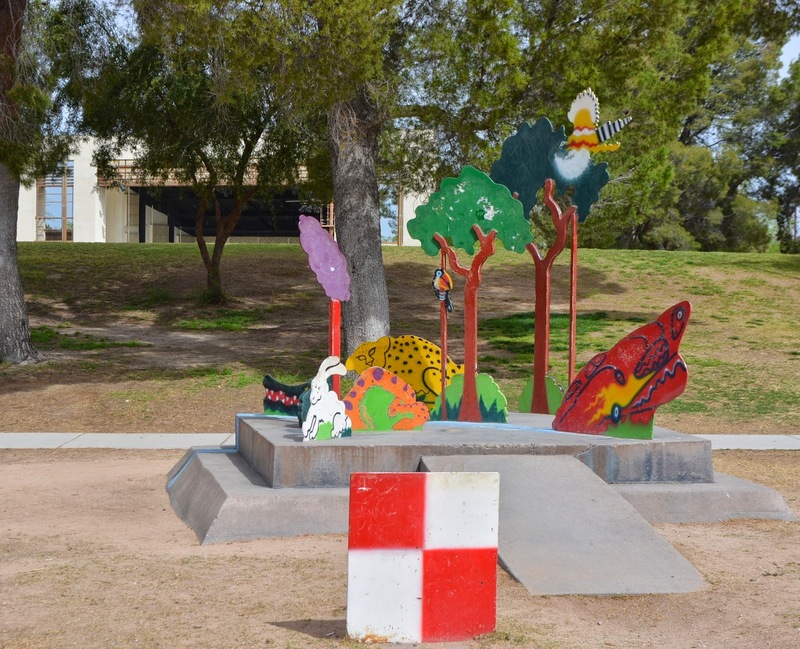 YES, this great piece is in Reid Park! Let me know if you want the t-shirt or mousepad! CONGRATULATIONS! Good job Roseann! I thought the same thing because I think that's the outdoor amphitheater in the back. The sculpture is interesting and I can see some obvious figures, but is that a very angry turkey vulture smoking a spiral cigar, on the right up in the tree??!!! LOL. Now I can't look at it and think of anything else. It is a whimsical piece.